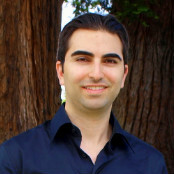 Editor’s note: Ashkon Jafari is the co-founder and executive director of StudentMentor.org. He has a bachelor’s degree in finance from Santa Clara University. Ashkon was recently invited to the White House to meet President Barack Obama and talk to officials about mentoring and preparing students for tomorrow’s work force. My transition to college wasn’t easy. I graduated from high school at 16 and felt thrown into a different world in college. Unlike high school where administrators proactively called my parents if I missed classes, I found out that college professors didn’t hold students to the same level of accountability. Most college professors didn’t stay after class to help me when I was struggling in their classes. I was on my own. During the beginning of my sophomore year, my situation began to improve. I started visiting the tutoring center to receive help on calculus and physics courses. There I met Dinh, who had already received a master’s degree in my major. Over the course of the next two years, he not only spent countless hours guiding me through difficult subjects, but he did much more. Dinh and I discussed life decisions, job prospects and career paths, and how I could succeed in my junior and senior years. Dinh was an amazing tutor, but what I looked forward to most during our weekly Sunday morning sessions was chatting freely and openly about these topics. I may not have labeled Dinh a mentor then, but in retrospect he was an outstanding one. Without his help, I know I wouldn’t have succeeded in college. During the summer of my junior year, I started an internship at a large tech company and found another key mentor. Although a busy senior manager, Jack scheduled an hourlong meeting with me for extra training that would be useful in my future career. That meeting turned into weekly sessions in which I learned a lot from Jack about what employers valued and where the industry was headed. Soon, Jack was asking me to bring in my upper division course list so that he could offer a professional’s opinion on which electives would be advantageous in the industry and which were outdated. We kept in touch as I progressed through my final two years of college and occasionally met for lunch. Jack became an even greater resource to me as I prepared to embark on my career. He was a reference for job openings and graduate school applications. Five years later, we remain good friends, and he is on the board of directors for my nonprofit organization, StudentMentor.org. Mentors such as Dinh, Jack and many others are the most important reason for my success in college. Despite my rocky start, I graduated in the top 1% of my college class. There are countless professionals, teachers and peers who are eager to become mentors. Whether it’s through informal discussions or structured programs, mentoring is powerful and vastly undervalued. January is National Mentoring Month. Each year the president encourages Americans to serve as mentors and help young people. As you think back on your life, how have mentors affected you? By adding “becoming a mentor” to your new year’s resolutions, perhaps you can positively change the course of someone else’s life, just as my mentors did for me. The opinions expressed in this commentary are solely those of Ashkon Jafari. I think peers are the best source of support for students in college. The insight that people have gained going through similar experiences can be so valuable. I know it is even better when those peer mentors are well informed and have a good sense of the campus community, how it can open up doors for students. Most importantly being real and genuine is so valuable as well! I know of a similar idea that is open to all college students called Student Spill (www.spillnow.com). It is an anonymous way for people to talk about their problems and receive feedback and resources from peers who have been there too! The more we can take care of college students basic needs (social and emotional included) the more likely the will see success in college! I went to school speciltly high school i had learning disablty some my teacher did nt unstand most them Did .but i Still struly .they i this specil ed teacher mrs.sears and mrs.p they realy helpe get trow school my 12th grade yeare that was the harst i nearve got a job took the easy way and got my ssi now i am curntly liveing with my mom. In her little birch home.